Please submit your dropped call or dead zone experiences in the comment form. Comments may take up to 24 hours to appear on the website. Thank you for your participation. North Virginia between McCarran and Panther. I can drop a call 3 times in about 2 miles. Sparks, nevada, right in the middle of town–N. Rock Blvd. from Prater way north to McCarran, and east to Pyramid way. also Los Altos from Sparks Blvd. east to Vista Blvd. 1. Hunter lake to Virginia Street, south of Plumb Lane. Between Sunbeam Lane and Pagni…major dead zone. verizon turned up a new site (fake tree) in glenbrook. check it out. On North McCarran between Sutro St. and Clear Acre Lane. My calls are usually dropped mid-conversation when driving through that area. just got the new blackberry storm….only to find that Verizon is a big dead zone in the kingsbury grade area of south lake tahoe NV. all the greatest technology…and no way to use it. We can put men on the moon, get 300+ tv channels, pay over $4 for a gallon of gas…and we still have DEAD ZONES?? There is a dead zone at the bottom of 431 East of the Lodge at Galina and Galina Forest turn off Douglas Fir. It gets better as you approach Thomas Creek Road. About 1/2 way up the mountain the signal comes and goes, very poor coverage. The old AT&T PCS use to work flawlessly 2/3 way up the mountain around the year of 2002. I just switched to Verizon (from Sprint) and can’t believe how poor the coverage is in comparison. Going back to Sprint next week. Which company has the best coverage in Montreux,Reno Nevada? 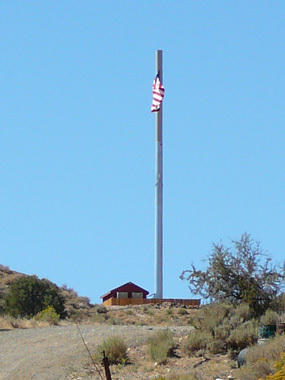 AT&T has a low frequency (700/800 Mhz) cell site at the NDF Galena Fire Station, which generally provides better indoor coverage than high frequency (1700 Mhz+) cell sites. 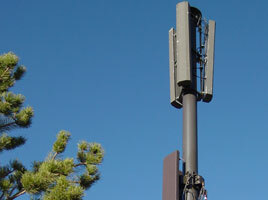 T-Mobile has a high frequency cell site at the same location as AT&T’s. Sprint has a cell site at the water tower above Timberline Rd operating in the high frequency range. So I would say it’s a toss-up between AT&T and Sprint. Not getting any Verizon(4GLTE) coverage at Golden Eagle Athletic Complex in Sparks/Vista Blvd.